Mangaluru, Dec 19, 2015: It is reported that the district administration has banned sand extraction up to a distance of 500 metre radius on either side of the bridges in Ullal (Nethravathi), Kuloor, Malavoor, Gurupura and Moolarapatna (near Kuppepadav). The deputy commissioner has directed the officials to strictly enforce the ban. DK DC Adoor B Ibrahim has banned sand extraction as per the government’s notification dated December 16, 2013. When the officials from Public Works, Revenue and Mines and Geology Departments visited the bridges on December 12, they found that the sand mining was being carried out unabated in the region. The extraction of sand near the bridges will weaken the structure, deputy commissioner said. In a press release, the district administration said it has identified the major bridges in the district where sand mining is being carried out. They are Nethravathi road and rail bridge off Thokkottu-Ullal, which connects Mangaluru with Kerala through NH 66 as well as Mangaluru-Kerala. 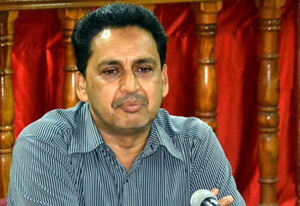 Sand extraction is strictly prohibited up to a distance of 500 metres of all the four bridges across river Netravathi in the region, the deputy commissioner said. Another important bridge on NH 66 is the Kuloor bridge across Phalguni (Gurupura) river. The bridge connects Mangaluru with Udupi and places like Mumbai. If the sand mining is continued, then it will affect the economic, social and education sector of the district. The Phalguni-Malavoor bridge connects Mangaluru with the international airport. The sand miners are engaged in sand extraction using boats. In the backdrop of the safety of the bridge, mining has been banned, the deputy commissioner said. Similarly, another bridge on Mangaluru-Sholapur National Highway near Gurupura too is under threat,if mining is continued. The bridge at Moolarapatna across river Phalguni on Yedapadav-Sornad (between Moodbidri and Bantwal) too is facing threat from sand extraction, he added. It is strange that though this matter is a fire since long, sand extraction has been going on unabated under the nose of the authorities and just now they have realised the dangers, said observers.